Pohjois-Kalotti map covers northern Finland, Sweden and Norway parties. The map covers the Murmansk region West. South latitudes it begins to Mo I Rana, Luleå, Kemi, Kuusamo Kestenga. Scale of 1: 800,000. Kilometric distances between major cities. 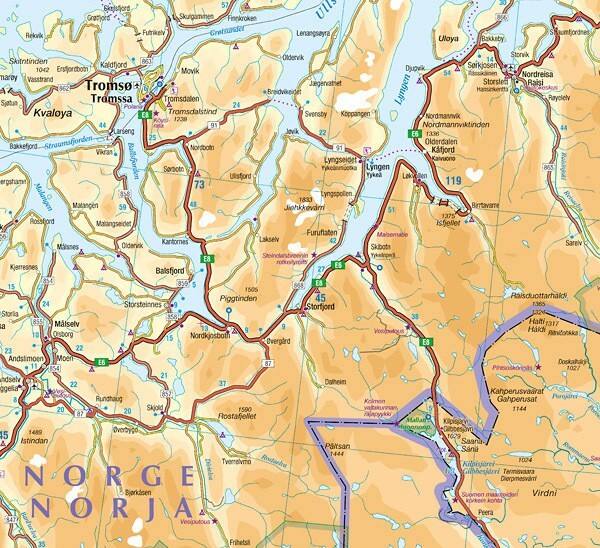 Remarkable points indicated, maps of city centers of Rovaniemi, Tromsø and Murmansk.